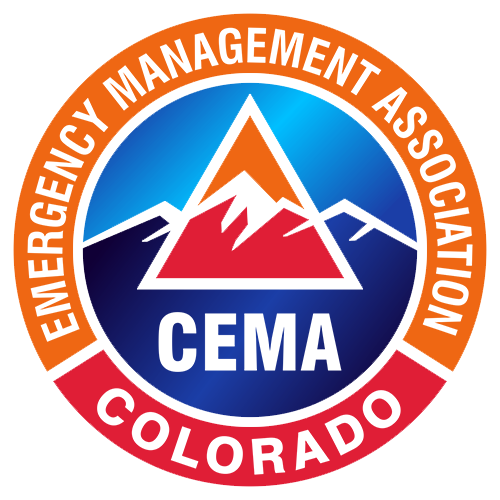 CEMA is a professional association representing the emergency management community in Colorado. CEMA's role is to provide representation on many state-wide committees, working groups and emergency management program teams. Furthermore, CEMA serves as an advisory organization to governance bodies on emergency management issues. CEMA's other roles include managing the state certification programs, legislative monitoring, awards /recognition program and membership services. 1 conference incident management team with 12 members from across the state. The 2020 conference will be held at the Embassy Suites in Loveland, Colorado. We hope to announce the 2020 dates as soon as the contract is signed. There has been several requests for the conference agenda. It is available on the CEMA website in the CEMA Library. We are still looking for photos from the conference.